Hello, everyone. We are back with our cool series of articles where we acquaint you with professionals from our Nanobot Medical Animation Team who transform raw bits of information into high tech projects on a daily basis. Today we’ll look into the work routine of one of our 3D animators. Yurii visualizes complex anatomical and cellular processes for life science and healthcare companies. 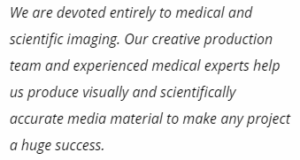 When did you realize your passion for art, and what initially sparked your interest in the field of medical animation? Well, it’s hard to recollect the beginning of my interest in medical animation. I’ve got a medical degree, but I have always had one foot in art. I’m a huge fan of sci-fi movies which wouldn’t be that mind-blowing without those visual effects that make them so realistic. So, in my free time apart from medical practice, I was spending on learning the basics of 3D animation. Little did I know that one day my passion would turn into my full-time job where I will be able to combine science with art. As a true sci-fi nerd, I still see some odd associations and references to my favorite films. For example, in the picture below I worked on a liver cell incision which kept reminding me of eggs from an Alien movie. I’m very little involved in the administrative side of things, so my day starts and finishes, pretty the same way– working on my computer. I’m right there in the trenches along with the rest of the team, involved in all aspects of animation production, from model building to assembling. Is there a particular area of the production process you most enjoy? The production stage is the most exciting for me -building cells, molecules, and environments and then lighting and texturing to make them look as dramatic and cool as we can, while of course maintaining accuracy. 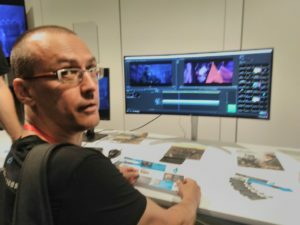 I also enjoy the compositing stage–bringing my rendered passes together and adding additional effects and finishing touches to make the shots come alive. Sometimes I get obsessed when it comes to the look and feel of the 3D video. I see something in my head and get extremely frustrated in the attempt to bring that image onto my computer screen. When I get in that mode, it feels more like a real pain, like I’m stuck in a loop. But it’s satisfying when I eventually push past the wall and hit the mark. What tools/software do you use? I’ve found Maya to be an excellent tool for medical animation for its ease of use and how intuitive it makes the process of working. I think that it’s made to the way an animator’s brain works. If one is more technically inclined, however, it still allows plenty of room to dig deeper into those aspects of the software. For instance, a complex blood flow shot with dynamic interaction can be set up in minutes by duplicating many blood cell models along a path using the clone tool, and then effectors can be added to achieve procedural animation to the cells without needing to create a single keyframe. What, in your opinion, makes a talented medical animator? Besides scientific knowledge, I think having a strong background in arts is very important. If you’ve learned to draw and paint, then you will understand form, light, and color. Studying animation and film is also important. Achieving motion that is fluid and timing that has the right feel can make the difference between a boring animation and one that is exciting. The more elegant and dynamic the animation is, the more likely the viewer will be drawn into it. 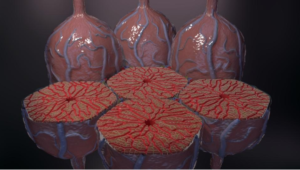 If the audience enjoys the visual experience, they may better understand and retain whatever scientific process is being portrayed in the animation. 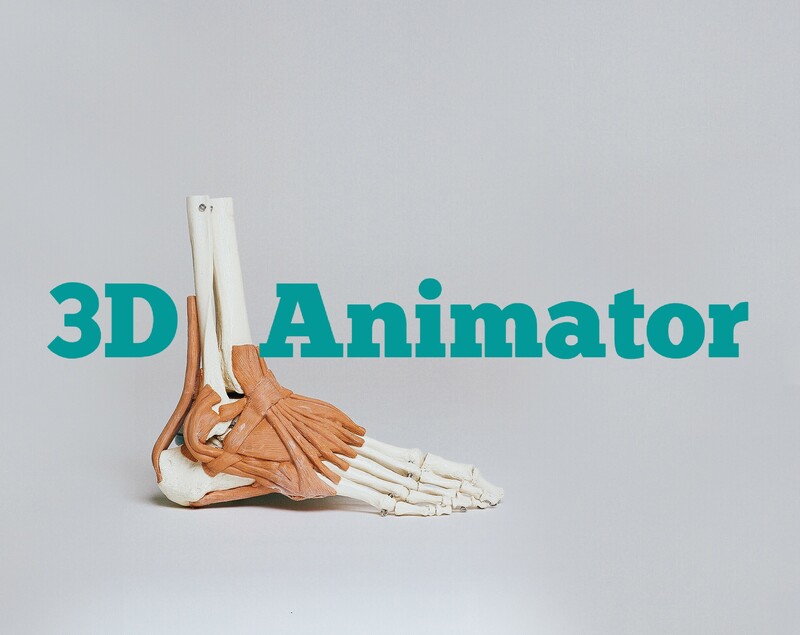 These are the keys to a successful medical animation. 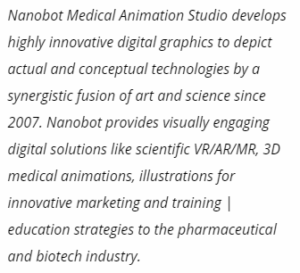 The post Behind the Scenes of Nanobot: People Who Turn Ideas into Projects. 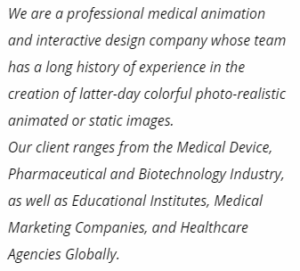 3D Animator appeared first on Nanobot Medical Animation Studio.